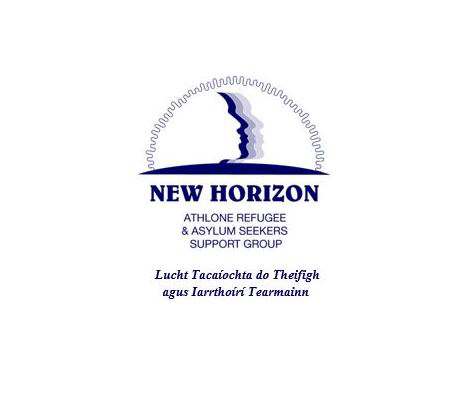 New Horizon are a loose group of people who have been working together in Athlone since 2000. We are a group of volunteers and don’t get money for our work or work for the state. We promise total and absolute confidentiality in all our dealings with clients. As activists, we welcome refugees and asylum seekers and wish to help and support them as they start to rebuild their lives. Give you some useful information about Athlone and Ireland. Provide some information to help you navigate the asylum process. Provide useful information to help you leave the asylum process.